In the South East of England the weather this week hasn’t been fit for a barbecue, but Summer’s right around the corner and the forecast is looking a little brighter. Because of that, today we’re taking a look at barbecuing and some of the things that you might need for a Great British barbecue in your garden. Of course you need a barbecue in order to cook on one! You do need to work out which type of barbecue you’ll need. 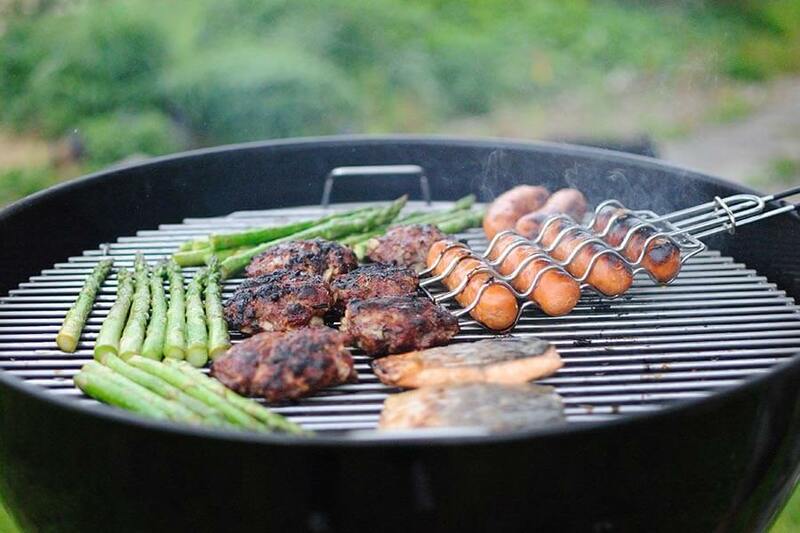 There are a few options when picking a barbecue, the convenient gas lit barbecue and the ‘back to basics’ charcoal burning barbecue. A charcoal unit has a lot of choices when it comes to cooking, different fuels can be used to achieve a slightly different tastes – some may prefer the taste of a wood cooked meal over that of a chargrilled charcoal cooked dish. You might even have to think about the type of meat you’re cooking, Pork can often be better when cooked over oak for example. On the other hand, gas barbecue combines the allure of outdoor cooking with the convenience of a kitchen cooker. While many will be happy to stand and eat their food, seating is a bonus for many. If you’re having a group of friends over for a barbecue you might have to source some extra seating for your garden. Blankets can be a easy and compact way to create dry seating areas, but if you’re after a more conventional chair we recommend something along the lines of a director’s chair. These canvas chairs are comfortable for all, attractive to the eye, and can also be stored easily – just fold them up and store them in a shed, loft or garage. We’d love to spend the day and the night basking in the sun, but let’s face it, this is England. In order to protect yourself and guests from the British summertime rain we recommend having some form of shelter handy. Perhaps tables with umbrellas or even some form of tent or gazebo would do the job nicely – just to ensure everyone can enjoy their food while the rain passes. We hope you enjoy any barbecues you have over the summer, especially if you’re having one in an Outdoor Creations garden!